As the world of wine continues to grow and become more diverse, it is always exciting to see a female winemaker make her entry into the industry. Even more exciting is the number of black female winemakers who are not only making the wines behind the scenes but are now becoming the face of their own labels. Consequently, their paths to doing so usually come with a detour along the way. “Iris Rideau was actually one of my inspirations when I started searching online,” says Dr. Dawna Darjean Jones. Both winemakers hail from Louisiana, Rideau from New Orleans and Jones from Opelousas with both influenced by their Creole heritage. Seeing Rideau and her success with Rideau Vineyard in Southern California showed Jones that it could be done as a black woman and hence added inspiration and fuel for her own journey. Trained as a scientist with a PhD in Plant Pathology from U.C. 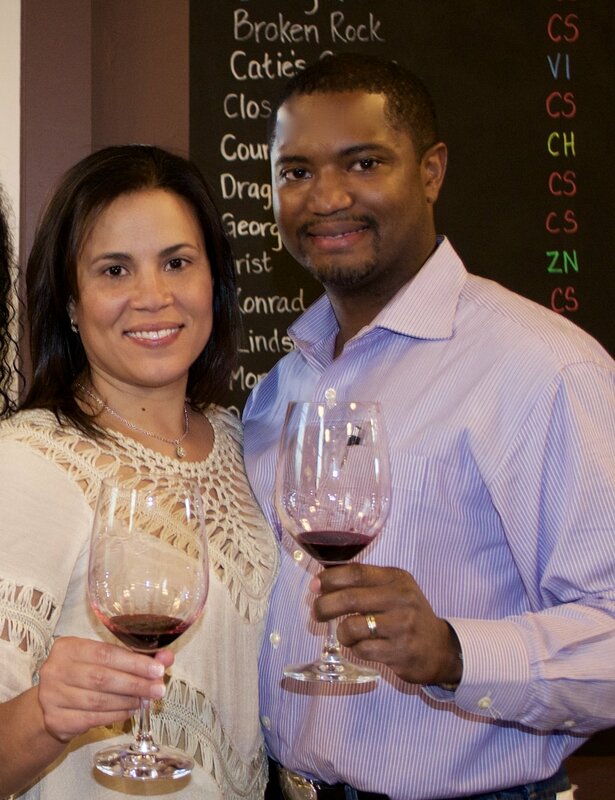 Davis in California (she is one of only two black women who hold this degree to date), Jones credits the grapes as being a part of her first introduction into the world of wine. “The first grape that I fell in love with was merlot. I remember walking through a vineyard in Temecula in Southern California and it was right around harvest time and I remember plucking off one of those grapes and tasting it and that flavor completely impacted me. It wasn’t one glass of wine, it was the flavor in that one grape,” says Jones who now lives in Houston with her husband and children. Prior to moving to Texas, Jones called Maryland home working first as a diagnostic research scientist and later an intelligence analyst for the U.S. government. A career opportunity for her husband moved the family across country and Jones also saw this as an opportunity for her to do something new that made her happy. “I want everything that I do to be relevant and to make sense.” This meant going back to being around the grapes which she loved, but this time not as a scientist but as a winemaker. Like many winemakers, she started making wine at home and soon began researching the industry to see what to do and the risks involved. She knew she didn’t want to grow the grapes or own the winery, but instead set out to work with wineries that offered high quality grapes that she could source to make the wines herself. She currently works with winery partners in Napa and Sonoma to make all of her wines within the Darjean Jones Wines portfolio. Her first vintage was a 2010 Merlot and has since added a 2011 Merlot, 2011 and 2012 Chardonnay, a proprietary red called Pathologie and a 2012 Blanc de Noir or sparkling wine. Jones will soon add a 100% Cabernet Franc from Napa Valley to the collection which she is very excited about. Fans of the label can order directly through the site online and also receive shipments via Jones’ wine club. However, she does suggest that with her 2014 vintage that will be bottled next year, she may consider extending distribution. For now, Jones plans to remains a boutique wine brand focusing on quality and not quantity with the wines speaking for themselves. Recently, her 2012 Merlot took home the silver medal in the San Francisco International Wine Competition in June while her 2013 Chardonnay won the bronze. Both vintages garnered the same accolades in the Lone Star International Wine Competition in Grapevine, TX held in June as well. Staying to her true nature as a scientist and researcher, Jones is sure to move through her journey as a winemaker with carefully informed and planned steps. The vision is to be known as a winemaker who makes exceptionally good wine that will leave a powerful legacy for son and daughter who just may be the next generation of winemakers for Darjean Jones Wines. For more information about Darjean Jones Wines and to order, visit www.darjeanjoneswines.com. Be sure to stay in the know by following Jones on Facebook and Twitter for upcoming releases and events.